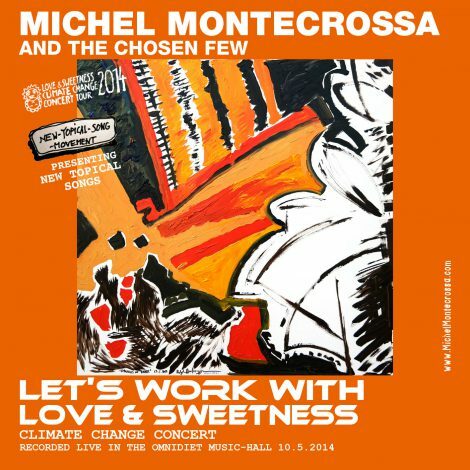 ‘Kisses from the Spirit of Woodstock Festival 2014 In Mirapuri, Italy’ – Michel Montecrossa’s special collection of 16 Festival Hit Songs, released by Mira Sound Germany on Audio CD, DVD or as Download. 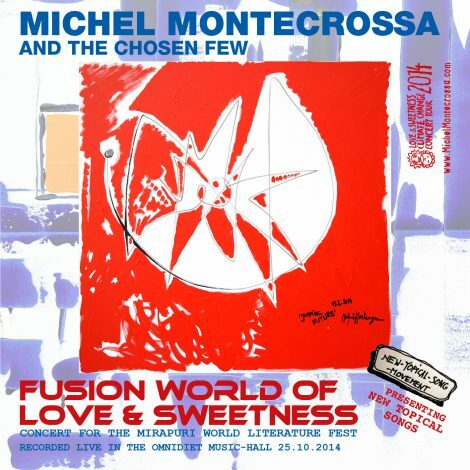 With the ‘Kisses from the Spirit of Woodstock Festival 2014 in Mirapuri, Italy’ Michel Montecrossa together with Mirakali, Diana Antara and his band The Chosen Few sing of the Love & Sweetness World of the Free Music Revolution. “The ‘Kisses from the Spirit of Woodstock Festival 2014 in Mirapuri’ DVD and CD present 16 Hit-Songs from our 2014 festival-performance of more than 170 songs which we played during the ten ­festival days from 25th July to 3rd August 2014. For me and my band the Spirit of Woodstock ­Festival in ­Mirapuri is a ­genuinely touching event of Love World Action where our songs stand as ­messengers of Light and Truth in times of merciless ­cynicism and brutal mass manipulation. All our music tells of a ­Future of Harmony that offers itself to be ­proclaimed to the world. a world that’s good for all. caring for life and love. my love for you will never bend. the real goal of us all. and with it your power of soul. 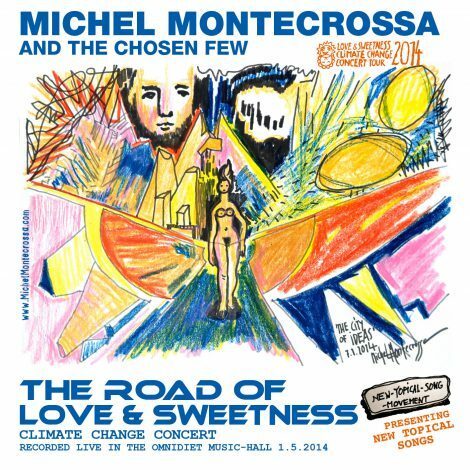 Enjoy a selection of songs by Michel Montecrossa, Mirakali and Diana Antara live at the Spirit of Woodstock Festival 2014.
of the Love and Sweetness Road. leading to a better world. What more can I bring? Love and Sweetness always will win. and smiles and lovers and friends. Love and Sweetness bring the light. we walk, two souls that are one. the beginning, the way, the end. and know the key is love. They fulfill the mystery of delight. There is the world full of light. Tenderness is the true power. of tender love and bliss so sweet. from the well deep within. and is bright like the sky. I dream in your arms of tomorrow. I dream of a New World. are united to build a New World.